Wow! 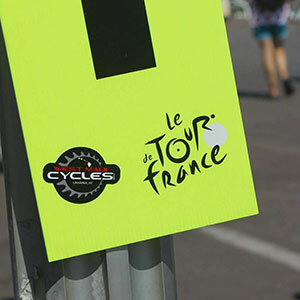 Attending the 100th running of Tour de France in person is nothing short of a dream come true! This past Tuesday we were in Nice France where the 4th Stage Time Trials took place. 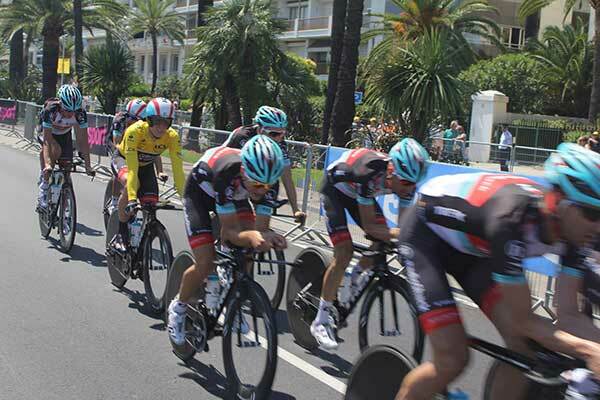 Along with West Maui Cycles (seen in the image), our hotel was near the finish line on the course in Nice. 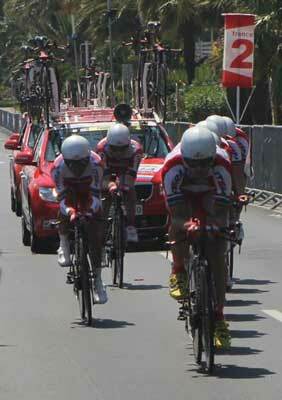 Specialized bicycle are the performance road bike of choice for many the best cyclists in the world. If you want more info on the 100th running of the Tour de France, take a look at the highlights we shared last week or visit the official Tour de France website for the latest updates.